Ever heard of the Paramount sci-fi series Extant? If not, check it out. You’ll see some film helped on its way by a young company in Edinburgh. The Hollywood heavy Steven Spielberg and superstar Halle Berry might be part of the formula behind Extant, but without NCTech they would miss out on some of the screen’s best moments. The theme is simple: can Molly, which is Halle Berry, who slipped off on a solo space mission but came back pregnant, save the human race? With a question like that, you need something visually powerful to get viewers hooked. Which is where Neil Tocher and Cameron Ure come in. 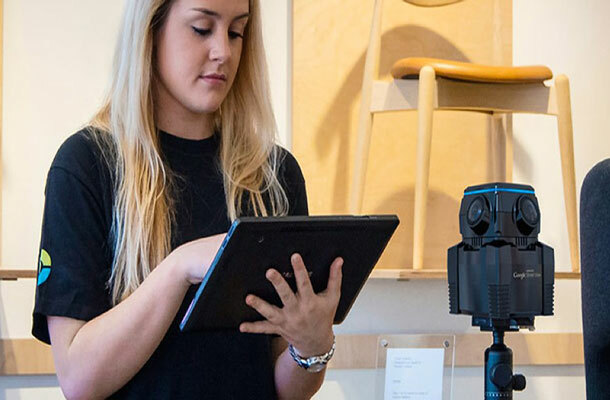 Paramount used their company’s camera to produce a quality of all-round, 360° images that NCTech is now offering to anyone wanting to upload onto Google Street View images of their shop, café or B&B interior. It’s all available at just the press of a button by a non-professional and ready for loading onto the Cloud within moments. We’ve been developing 360° photography techniques for two decades. Our first approach was to use it for property-related systems on the internet – the all-round picture of the interior that might grab potential buyers. We grew a business, but not with our own hardware. To make it work, we had to employ photographers, which created problems of management and cost control. Contemporary equipment made 360° photography hard. Already software could join separate images together correctly. The problem was hardware. One had to be skilled to use it. Our ambition was to make a 360° camera so simple that one did not need to know how to do anything more that place it in the middle of a real-world space and just press a button. Their first patented attempt used one viewing aperture that captured the reflection from a parabolic mirror. The single image contained the whole room, which meant there was no need to ‘stitch’ different images together. But the resolution was low. And a dirty mirror could mean no picture. It was still ahead of its time. It could be remote controlled from the new iPhone1 brand new at the time. Their next thought was a double aperture camera: a fish-eye lens at the front and another at the back. The resolution could then be as high as they wanted to make it. However, IPIX of the USA had already got a patent on that. Persistent, Neil and Cameron spoke to the patent holder who said go ahead, but not with a two hemisphere camera! In 2013, as predicted when the patent expired, the new Ricoh Theta range came out using the two hemisphere approach. The IPIX patent had expired and the idea was jumped on by the Japanese giant with 110,000 employees and over 48,000 patents in its bag. Neil and Cameron stay focused on a high-resolution device that could also meet their ambition for simplicity. That took them to a camera with four imaging points, made out of one carefully machined lump of metal and with developed software to deal with the ‘stitching’. This was needed to overcome parallax error, the distortion around each of the four images. Having navigated around other people’s patents, their iSTAR360° camera, patented in 2013, is no compromise! Careful machining reduces error repair work required of any software. The four apertures offer very high resolution. Everything within one device avoids human error. And there’s a smart phone app button the untrained user can press. Patents, are vital, but time consuming. We were busy with development and a patent law firm kept us clear on what we had to do. Now we have more patents to take out around software. There are big players in our market. They will overtake us, given the chance. Our iSTAR has disrupted that market as a much easier, far cheaper but more effective way of doing things. Others will try to get close to what we have done. We need to lock down the whole concept, the package of hardware and software that we have developed. The iris360 can reportedly be operated by anyone, using a smartphone or tablet. Image courtesy of NCTech. Few come bigger than Google. But its Street View cameras ride on a vehicle. No good for showing the front room of a family hotel. So now coming off the Edinburgh production line is the yet cheaper, lighter but as effective iris360°. 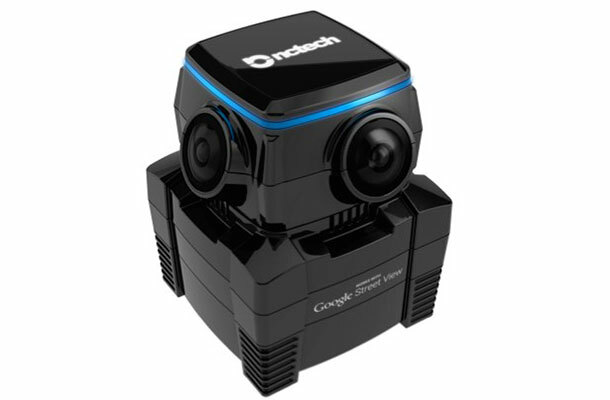 Using it, a local small business promoter could have every one of their high street players on Street View before the end of the day when they first open the camera’s packaging. Thank you very much for your reply this helps. Can computer code that I write be seen as Intellectual Property? For example I have a website, is the code I have written here my Intellectual Property. i don't understand really because everyone can learn languages but is the way i put my code together mine? Does the same apply with the smartphone apps that I write? Thanks for the comment. Software falls under copyright, so if you've created the code yourself, you'll automatically get this protection. Have a read of our guide and if you have any further queries please do not hesitate to call 0300 300 2000 or email information@ipo.gov.uk to speak to an IP advisor.